Set in a prime location of London, Kingsway Hall Hotel puts everything the city has to offer just outside your doorstep. The property features a wide range of facilities to make your stay a pleasant experience. 24-hour room service, free Wi-Fi in all rooms, 24-hour security, daily housekeeping, wheelchair accessible are on the list of things guests can enjoy. Comfortable guestrooms ensure a good night's sleep with some rooms featuring facilities such as carpeting, television LCD/plasma screen, non smoking rooms, air conditioning, heating. The hotel offers various recreational opportunities. 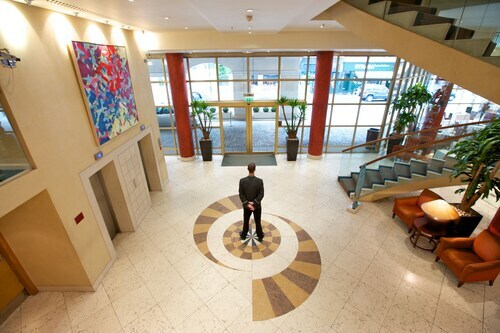 For reliable service and professional staff, Kingsway Hall Hotel caters to your needs.